I wouldn’t go as far as to say that wine, cheese and chocolate is enough to subsist on for an indefinite period of time (I do love steak and sushi) but the richness and decadence of the would-be snacks and cocktails at Eno have a way of satisfying my taste buds way more than most any fried appetizer. I think it’s like that book about how French Women Don’t Get Fat . It’s the quality over quantity thing. It’s satisfying. 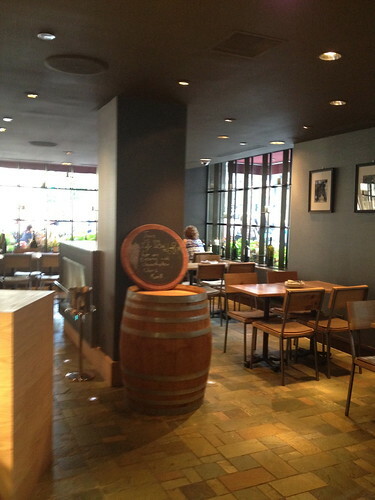 Connected to the Intercontinental Chicago, you can order wine of virtually every variety at Enology. 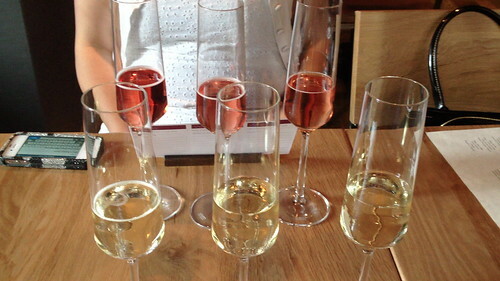 Or… get a flight (sampling) of red, white and/or bubbles and choose your favorite. Then, order that one by the glass. It’s brilliant. The venue is quiet enough to have a personal conversation or date night, and the flight descriptions are the perfect fodder for conversation- especially if you are getting to know someone new. Long time pal, Michelle and I thoroughly enjoyed ourselves and learned a thing or two about bubbles, salmon and cheese.